Welcome to the National Endowment for the Humanities blog, created and administered by the NEH Office of Congressional Affairs. We are excited to provide a venue for Congressional staff, members of Congress, and their constituents to learn more about how the NEH serves communities across the country. We believe a blog will provide a streamlined, reader-friendly approach to learning about NEH and understanding it. 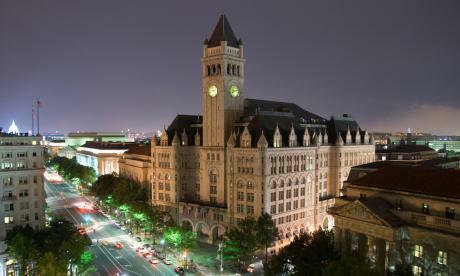 Our offices, located in the Old Post Office Building in Washington, D.C. Photo courtesy of Charles Hester, NEH. Explanations of specific grant programs, which will hopefully assist in reaching a greater understanding of NEH’s work on a small and large scale. Interviews with important people in the humanities community. The impact NEH projects and grants have had on communities and individuals. Upcoming events and trending topics. Information about successful grant recipients—we hope that learning about past grant recipients will inspire those thinking of applying to the NEH for a grant. NEH grants that relate to current events. Reports from NEH-funded state humanities councils. That’s all for now. We hope that our blog will consistently make for an interesting read, and we will be sure to keep you updated on important issues in the humanities, and help you and your constituents understand what NEH does. Also, please help us help you: understanding what our readers are hoping to see on the blog will allow us to address the topics and questions that interest you. Please reach out to us via phone or email with any questions you may have. We look forward to seeing you here again! This entry was posted in Uncategorized and tagged humanities, National Endowment for the Humanities, NEH, NEH Office of Congressional Affairs by nehblog1. Bookmark the permalink.